Naija Daydreamer: TIENTE: For your Baby or Bridal Shower!! 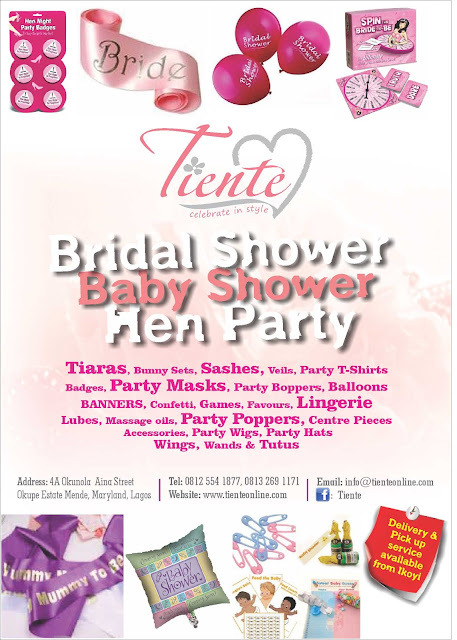 TIENTE: For your Baby or Bridal Shower!! Planning a Bridal or Baby Shower??? Visit Tiente, your one stop shop for all party supplies (decorations, accessories, games, gifts) required to organise the perfect shower. Check us out at www.tienteonline.com or call on 08125541877 or 08132691171. When you call, quote 'Naijadaydreamer' for special treatment!